Abigail is an established executive coach and facilitator, well-versed in dealing with experienced senior or high potential leaders in multinational organisations. Her clients are typically transitioning roles or geographies, or experiencing specific leadership challenges in their roles. It is with Abigail’s help that these same clients manage to amplify their strengths and effectiveness through pragmatic, sustainable solutions. With over 10 years experience working with multinational clients across Europe, Asia and the Middle East, Abigail has specific expertise across industries, including: Oil and Gas, Telecommunications, Construction, Banking and Financial Services, Hospitality and Pharmaceutical/Healthcare. 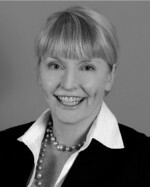 Abigail’s foundation of generalist HR practice was built in her work with the Australian Government. Following which, she spent the next decade living and working in Asia and Europe, focussing on the assessment and development of pivotal leaders. Working cross culturally, cross industry and cross practice, Abigail’s consulting roles have included Asia Pacific Regional Director of Assessment Solutions for PDI Ninth House, and Director of Leadership Solutions for Europe, Middle East and Africa. Abigail is committed to building sustainable change and effectiveness through a focus on fundamental self insight, clear goals and pragmatic actions. Her approach is characterised by energy and focus in understanding and leveraging a leader’s strengths positively, and aligning development action to their drivers and interests to support a foundation of positive and ongoing growth linked to real business performance.